The news that Chelsea made a £23.1m loss last season - despite winning the Premier League title again - raises the question of financial sustainability in football, writes Leah Gillooly, lecturer in marketing at Alliance Manchester Business School. 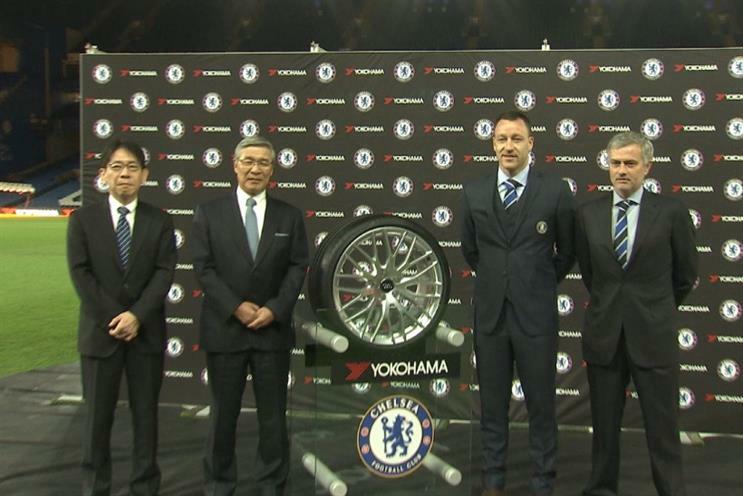 The club says it’s confident that revenues will pick up, particularly after signing a £200m shirt sponsorship deal with tyre manufacturer Yokohama. All of this supports findings from Deloitte that sponsorship fees are fast becoming a key revenue generator for the top clubs. Broadcast still dominates in terms of income sources, but commercial sources now account for 27% of Premier League club revenues. Match day income contributes just 19%. As the top clubs expand their operations overseas, they are also adding to their sponsorship portfolios with a range of regional deals. One of the most attractive aspects of chasing commercial revenue rather than match-day cash is that it’s much more controllable – Manchester United is a successful example. The global appetite for and media coverage of the Premier League means that the top clubs are able to continue to command higher and higher sponsorship fees in return for significant levels of exposure and access to commercially-valuable assets like player appearances, pre-season tours and digital content. Maximising this commercial revenue provides a relatively secure, medium-term boost for clubs seeking to stay within the limits of UEFA’s Financial Fair Play. For example, Chelsea’s deal with Yokohama will provide a steady source of revenue over the next five years, while Manchester United’s deal with Chevrolet covers a seven year period. But while the deals for Chelsea and Manchester United run into the hundreds of millions of pounds, the trend for huge sponsorship deals is not universal, even within the Premier League itself. Data from Sporting Intelligence suggests that 73% of shirt sponsorship revenue comes from the top five deals (Manchester United, Chelsea, Arsenal, Liverpool and Manchester City), while teams such as Leicester, Norwich and Southampton have deals worth only around £1m per year. From the point of view of the sponsors, the trend is very much towards paying handsomely for the exposure and image benefits associated with sponsoring one of the "big" teams. As football sponsorship becomes ever more cluttered, the benefits of being at the pinnacle in terms of exposure and status are magnified, which is what drives brands to undertake these long-term, multi-million pound deals. The return on investment on sponsorships of this scale comes from the clubs’ global profile, which gives brands the chance to activate their sponsorships and reach fans across international markets. So while huge sponsorship revenue streams appear to be propping up the finances of the top clubs, these mega deals are a privilege enjoyed by only a select few. Many other clubs cannot rely on such huge sums to offset the costs of wages and transfers. For clubs outside the top five in terms of sponsorship power, the priority should be on examining their sponsorship portfolios to ensure that they are providing brands with the benefits they seek, and devising innovative, value-adding sponsorship offerings that can command higher sponsorship fees.